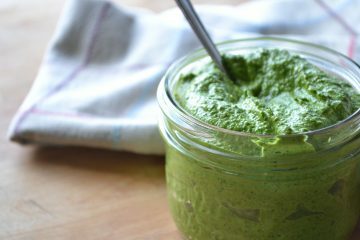 I created this more economical version of pesto with walnuts rather than the traditional pine nuts. Walnuts are less expensive as well as the popular nut can usually be found in most kitchens while pine nuts are a less seldom used dry good. 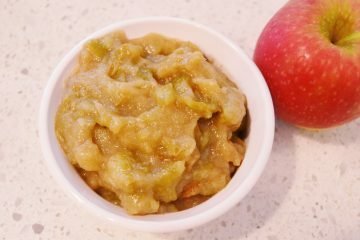 This version gives you more incentive to prepare this super healthy and delicious condiment more often. 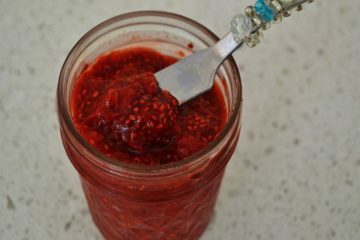 I adapted this warm, savory-sweet chutney from a Southern Living recipe as part of the 4th course of The Mystic Meals Under the Moon October Full Hunter Moon Dinner. I paired it with a creamy brie, although a mild nutty cheddar works well too. 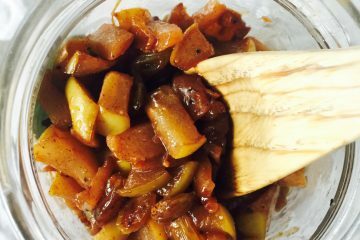 Consider using this chutney during the holidays as a condiment to a roast pork or turkey. It’s a keeper! My friend, Sandra Botero, whips up the freshest, spiciest salsa that I regularly consume on everything from eggs and grilled meats to simple salads. She shared her recipe with me in all its freshness and simplicity. I dare you to try this and then tell me that you do not crave it. 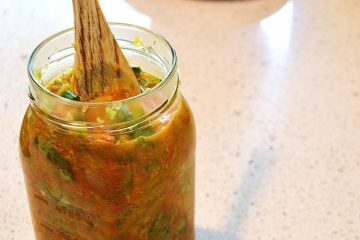 You’ll also stay sick-free, as this salsa is chockfull of immunity boosting vegetables. My mother’s good friend, Ester, is an amazing cook and entertainer who also happen to be Argentine. I have personally benefited from her culinary heritage and finally had her share with me some classic Argentine recipes. 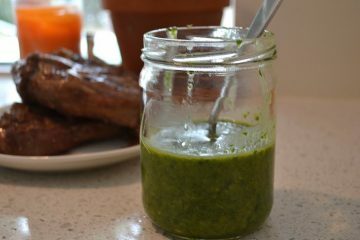 Chimichurri is probably the most well known, as it is always served with grilled meats, but each Argentine has his/her own way of making it. This is Ester’s version, fresh parsley only (many add dried oregano). This sauce is addictive; you’ll find yourself keeping a stash in the fridge to slather on everything! 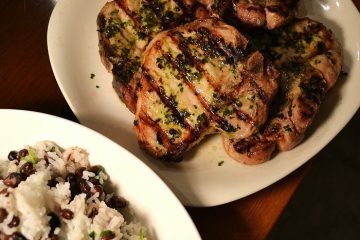 I usually serve chimichurri as a condiment but I saw pork chops marinated in this classic Argentinean condiment at the Fresh Market meat counter and thought what a great way to jazz up plain pork chops. This is an easy, flavorful warm weather meal when paired with a south-of-the-border side dish. I adapted my daughter’s blueberry-chia seed jam recipe for this spring fruit favorite with great success. With just a hint of sweetness via some honey, the burst of ripe strawberries really shines through. This is what you want to make with all those strawberries you picked fresh or scored at your local farmer’s market.